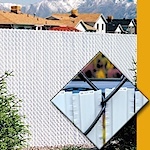 Reflective Fence Inserts, are durable rigid plastic strips with HIGHLY REFLECTIVE abrasion resistant, weatherproof tape. 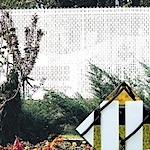 For that classic lattice look, turn to our Aluminum Fence Inserts. 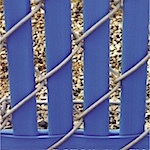 The locking system is located near the top of the slats to ensure a clean, straight edge along the top of the fence; further enhancing its appearance. Fast and easy installation - no need to kneel down! Simply insert the slats vertically from top to bottom. 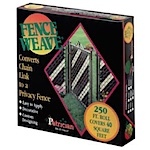 Plastic Fence Weave is an easy solution for privacy. 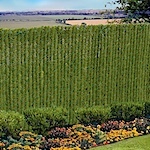 Permanent Hedge privacy slats create a natural hedge look on chain link fence, which requires no maintenance, water or trimming. Maximize privacy with this slat. approximately 90 percent coverage! 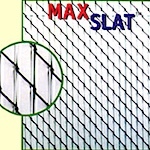 PVT (Plastic Vertical Tubing) slats are also known as Top-Lock-Slats. 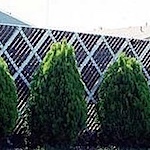 Top-Lock-Slats provide an economical and attractive way to enhance any chain link fence. Proven quality and durability of our standard slats plus unique "wings" for extra screening and security!